Geraniums are hardy, bright-colored flowers, and a welcome sight in pots, containers and mass plantings. They’re practically insect-proof and will bloom continuously if properly deadheaded, fed and watered. Because Virginia falls mostly in Zone 6 and 7, it’s too risky to leave geraniums in the ground for the winter. One good frost will do them in. There are several ways to keep geraniums over the winter for spring replanting. 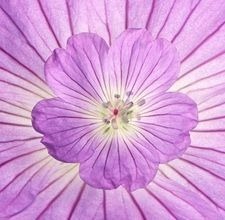 Dig geraniums out of Virginia gardens when the nights begin to dip toward 40 degrees Fahrenheit, usually in late October. Put on garden gloves, grab a spade and gently pry them up out of the ground or their containers. It should be easy as geraniums are shallow-rooting. Shake the soil off the roots until they are fully exposed. Bundle them together with twine and hang them upside down in a cool dark basement. Take them down every six weeks during the winter and soak the roots in lukewarm water for an hour or so, to keep them from completely drying out. After danger of frost passes in spring (late April, in Virginia), cut the plants back to one-third their size and repot in containers or in the ground. Water and fertilize, and they will begin sprouting new leaves within a few weeks. Cut geraniums back to one-third their size and pot them in potting soil, or simply leave them in their containers if you don’t have a basement. Bring the containers indoors. Place in a south-facing window where they will get plenty of light and keep them moist. Fertilize with a water-soluble plant fertilizer every six weeks during the winter, and the potted geraniums will produce new flowers in February and March. Take five-inch cuttings with a sharp knife from the original plant if you don’t have a basement or room for containers. Strip off leaves from the bottom three inches of the cutting, dip the bare end in rooting hormone, and plant in small pots of soilless potting mix. Keep moist. Transfer the cuttings to pots with potting soil after three weeks when the cuttings will have rooted. Continue watering throughout the winter. Add a pinch of water-soluble fertilizer to the water every six weeks, and by spring you’ll have pretty, new geraniums to replant outdoors. Water geraniums directly at the base of the plant. Watering from the top wets the leaves and flowers, making the plant susceptible to fungus. 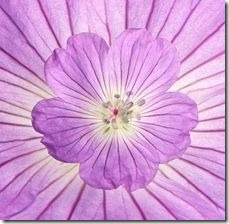 Plant geraniums in loose, well-drained soil. Check containers to make sure they drain freely at the bottom and never leave geraniums standing in saucers of water, indoors or out.